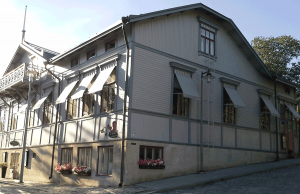 Saima House is situated on Linnankatu (Castle street), the oldest street in the historical town of Savonlinna. Surrounded by other wooden buildings, the cobbled streets evoke memories of a bygone era. 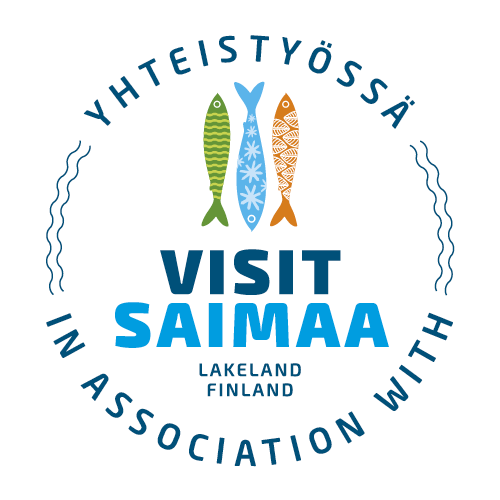 The Olavinlinna castle is just a stones throw from Saima House, and in the summer during the world renowned famous Opera Festival held in the castle grounds, music can be heard drifting over the lake towards the Old town. The building has had a variety of uses since it was built in 1897. In the last 130 years, amongst other things, it has been used as a Doctor’s residence to a kindergarten, from a labour ward to its current use. Since the 1990’s it has been a café, evolving over those years to now offering a light meal selection, a wonderful garden terrace and meeting rooms. On the ground floor, at the street level entrance of the building, you can find the Saima House Shop selling local souvenirs and the most beautiful gift items.